It appears National Chocolate Week and National Curry Week are coinciding this year (10th – 16th October). Whilst my brain is whizzing around ideas on how to make a chocolate curry, here’s some ways you can ensure you get your cocoa fix. Get your calendar out and start making plans! Now this has got me HUGELY excited. As many S.W.I.N readers know, my mother is the best Indian chef in the world (in my biased opinion) but I’m pretty sure Vivek Singh, Executive Chef of The Cinnamon Club comes close to that title too. He has teamed up with chocolate extraordinaire Paul A Young especially for National Chocolate Week. Hurrah! Combining Paul’s decadent chocolate alchemy with Vivek’s spice expertise, the pair have crafted three curious truffles and an indulgent pudding. 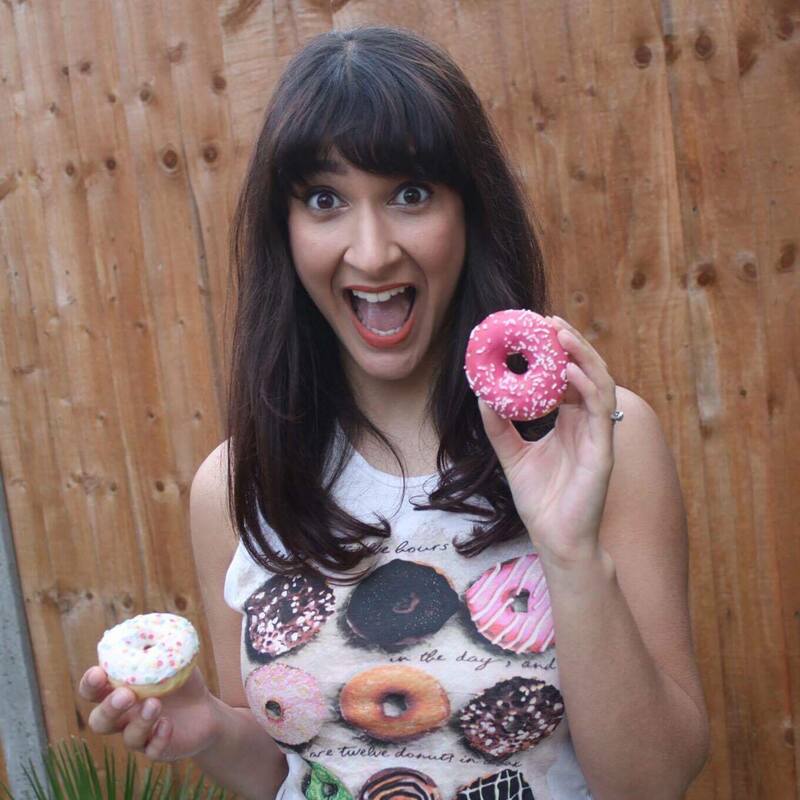 A twist on some classic Indian desserts! Representing a starter, main and dessert, the three unique truffles will take you on a cocoa taste adventure to remember. First is a sticky sweet Lime Pickle Caramel with single origin 64% Madagascan dark chocolate, sea salted caramel, The Cinnamon Club’s lime pickle and a gold leaf flourish. The second is an intriguing Cumin & Almond Truffle with bitter 66% Grand Cru dark chocolate, sweet almond puree, cumin, coriander seed and coated with toasted naan crumbs. The final course of Paan Truffle reflects the paan leaves eaten at the end of traditional Indian meals. Paul and Vivek’s take elegantly blends paan, tobacco, rose petal preserve, condensed milk, peppermint and white chocolate with delicate rose petals on the top. 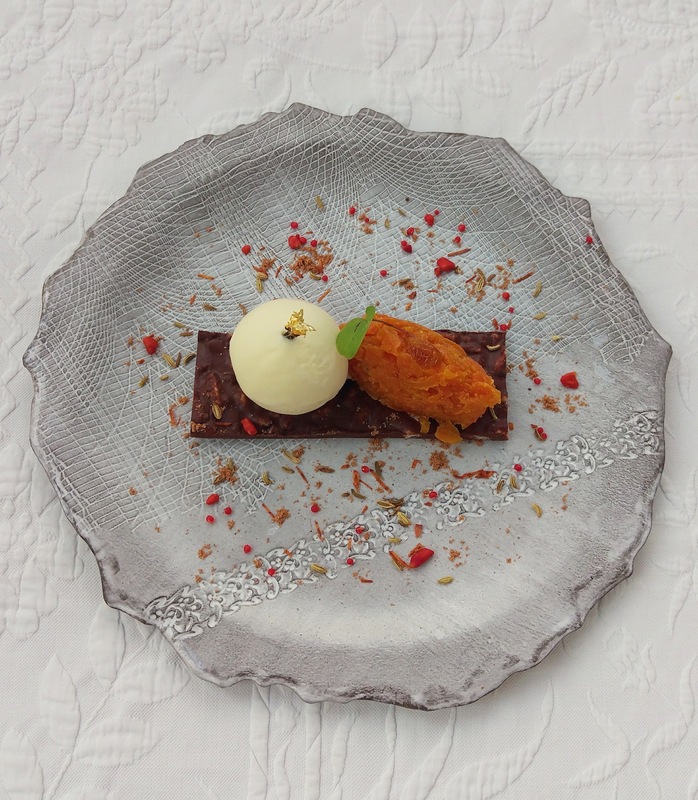 Diners can also indulge in a limited edition dessert of dark chocolate paan and caramel muri bar served with carrot halwa and clover ice cream (£16). Chocolate lovers are in for a treat — a KitKat pop-up has opened up in London and you can design your own KitKat flavour. The KitKat Chocolatory is offering Create Your Break bars. Use tablet screens to select your base (milk, white or dark), and then add three toppings and choose from 16 “sensational inclusions”. Unfortunately you won’t be able to get hands-on in making the bar, but the team of “expert chocolatiers” will have it ready for you in an hour. They also have pre-created flavours which change on a weekly basis. Offerings on the first week will include sticky toffee popcorn, almond & salted caramel brittle, and salted caramel crème brûlée with Madagascan vanilla seeds. Even better, you can treat yourself to a signature edition bar designed by Michelin-starred chef Michael O’Hare, who’s known for his outlandish creations. Choose between chilli & mint or dandelion & burdock. A special edition kit will set you back £3.50, while creating yours is £7. Get yourself over to Westfield Stratford City – it’ll be running till November 9th. If you like admiring pretty things whilst drinking a cuppa, Lancaster London has put a chocolate-y twist on budding artists favourite with its Divine Chocolate ARTea. Inside the authentic painters box will lay an array of edible art, alongside tempting Divine chocolate treats. State of the ‘Art’ Divine chocolate scones will be served alongside paint tubes filled with Cornish clotted cream and strawberry jam – giving you all the tools needed to devise a cocoa-creation. 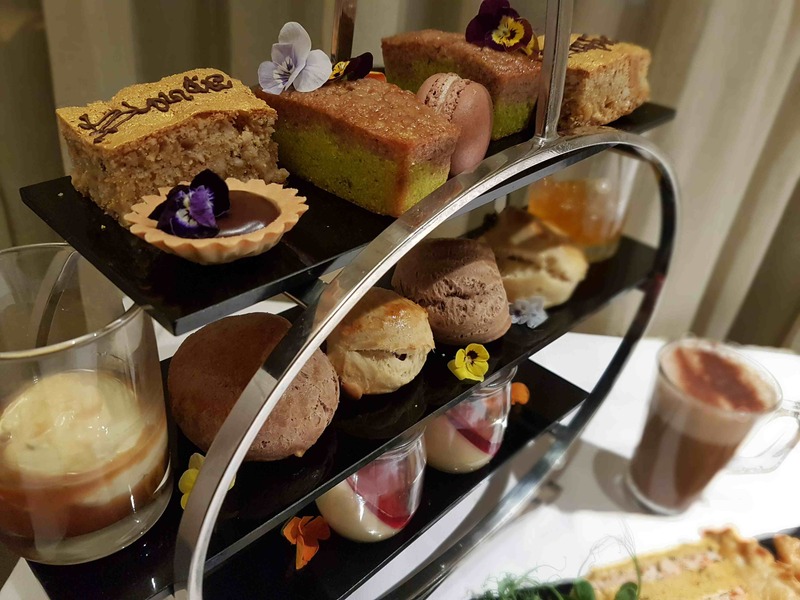 Lancaster London’s Divine Chocolate ARTea Afternoon Tea will be available from the hotel’s first floor Lounge Bar for £35.00 per person. Don’t fancy chocolate week only being for a week? Think it should be national chocolate year? Well how about a subscription! 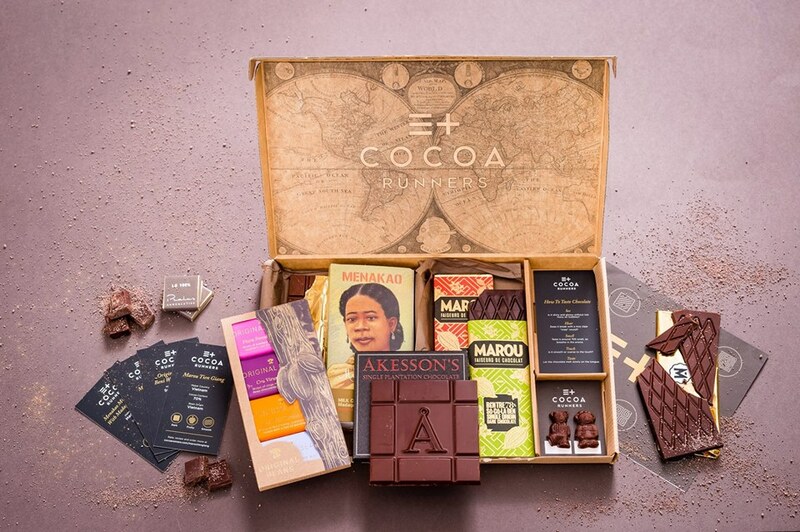 Cocoa Runners, run around the world discovering chocolate makers and farmers, then they send chocolate directly to your door! As a member, every month they will send you four chocolate bars delivered in a box specially designed to fit through your letterbox (and in sufficiently non-descript outer packaging that they hope won’t be “borrowed” by envious neighbours). These bars are carefully chosen around themes which showcase latest developments and the characteristics of “bean-to-bar” chocolate. They get “under the wrapper” with tasting cards for each bar that bring you the stories behind the chocolate, makers and growers. In the last year, they’ve tried and rated well over five hundred different bars. 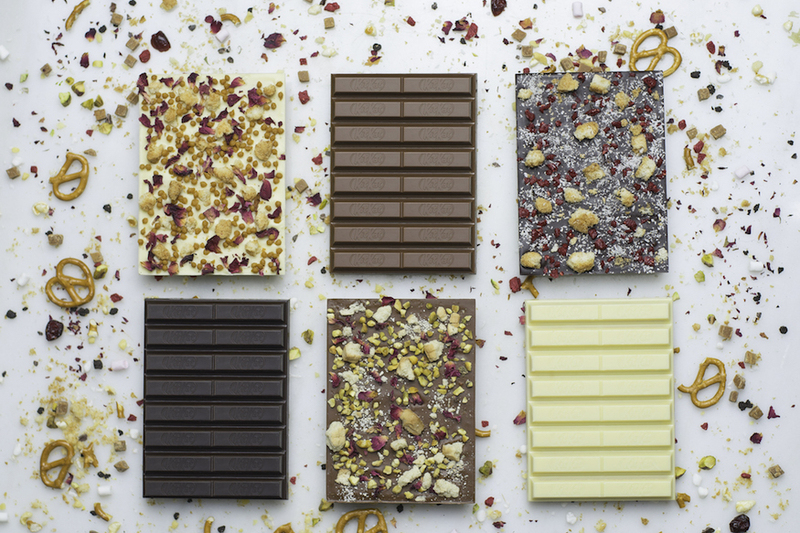 For every bar, they’ve analysed and profiled its texture, flavour notes and intensity. By using these profiles and knowing what you’ve enjoyed in the past, they can recommend other bars for you to try. Genius! Cocoa Runners are currently offering a price of £49.95 per quarter (£16.65 per month) when subscribing to a quarterly payment and £18.95 a month when subscribing to a monthly payment. This includes UK postage and packing. Sign up here! Prefer your chocolate boozy? Would you rather drink it than eat it? Then this is for you. This award winning wine is a blend of Spanish fortified red wine infused with luxurious chocolate flavours. 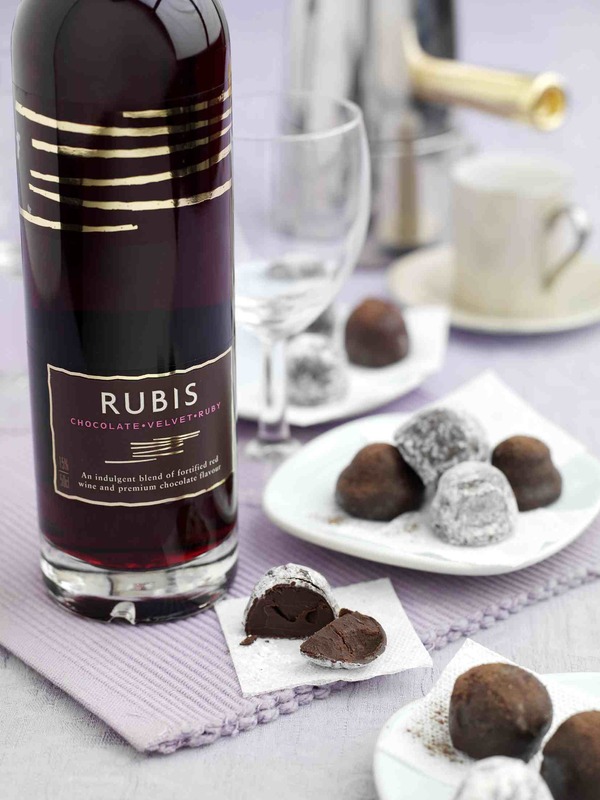 By using the best Tempranillo grapes from the centre of Spain combined with premium dark chocolate, Rubis have created a rich fruity wine with a velvety chocolate finish (in other words Chocolate + Wine = Win-Win). If you’re planning on celebrating National Chocolate Week at home then online drinks retailer 31Dover can bring Rubis to you! They’ve also just launched a brand new one hour delivery service (partnered with Deliveroo, Uber Eats, Henchman, Jinn and Quiqup) so you can be sipping on chocolatey wine in no time! A bottle is £9.85 and you can order here from 31Dover. Don’t really like sweet things. Don’t like chocolate? Then why on earth are you reading this?! 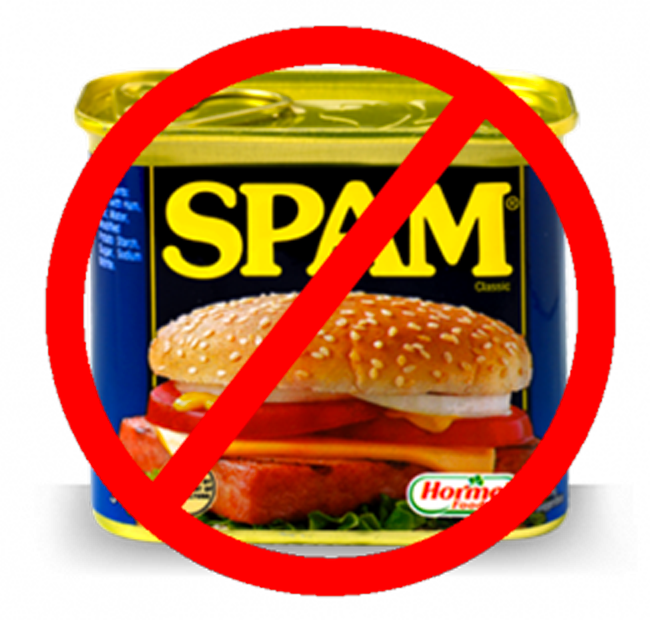 Still, on the assumption that at least one person may be reading this because they are simply killing time, how about something savoury? Mestizo is a fantastic Mexican restaurant in London and serves up some Mole dishes (pronounced Moh-lay). Mole poblano contains about 20 ingredients, including chili peppers and chocolate, which works to counteract the heat of the chili peppers, but the chocolate does not dominate – BUT IT’S THERE! 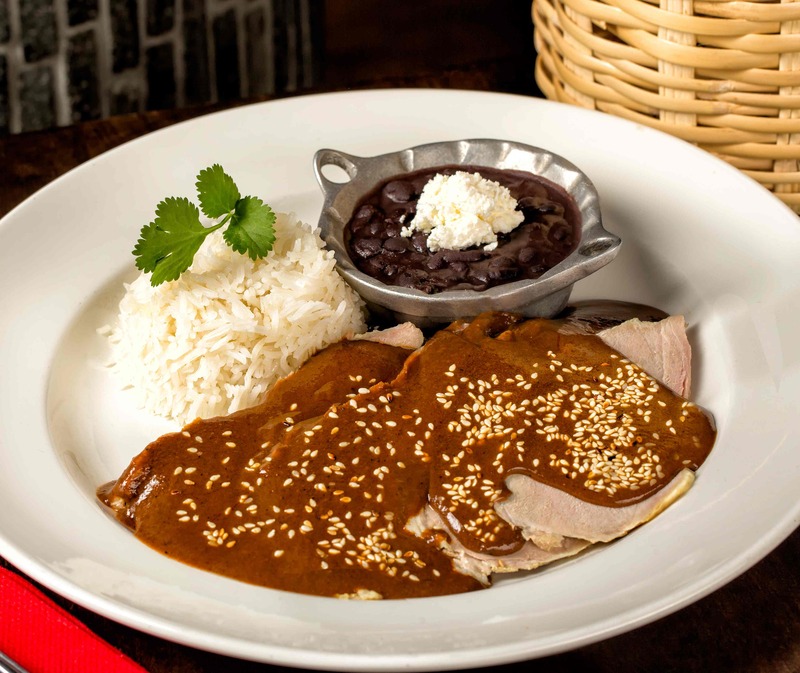 Mestizo serve up a traditional Poblana with succulent chicken and it is to die for. This is the perfect way to celebrate National Chocolate Week if you er… hate chocolate. 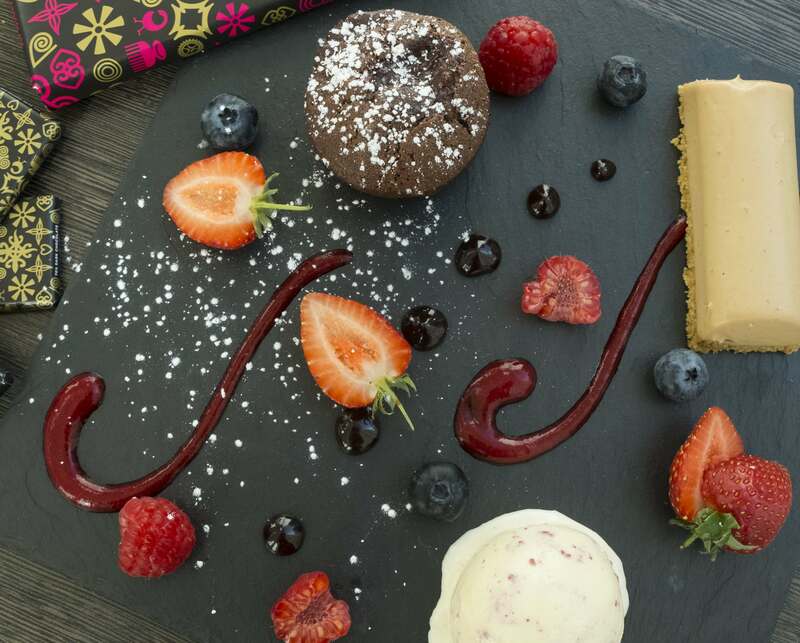 In celebration of National Chocolate Week, Brother Marcus Balham’s garden cafe, restaurant and cocktail bar have teamed up with Divine Chocolate to create a chocolate pudding not for the faint hearted. 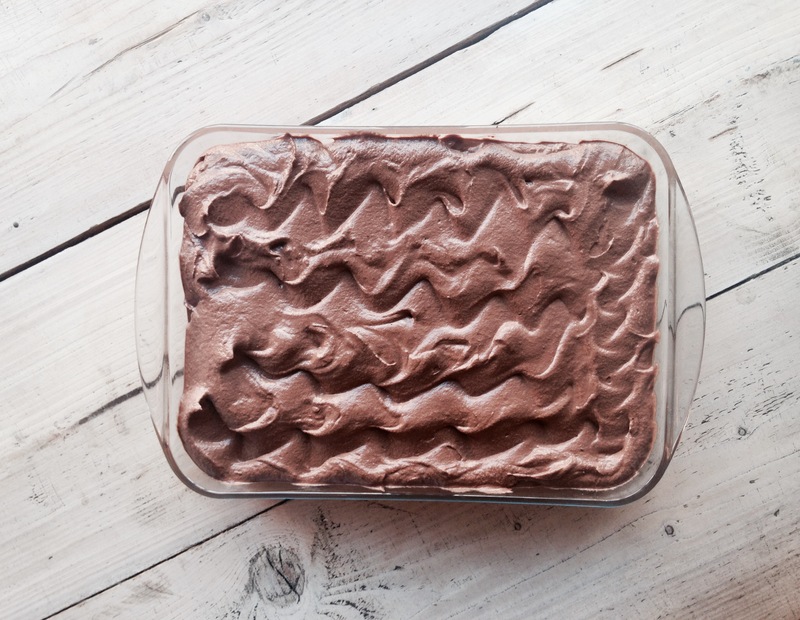 Guests will be treated to Penny’s Pudding, a recipe which has been passed down from one of the boys mothers and recreated by the boys themselves, Alex, Arthur and Tasos specially for Chocolate Week. Each mouthful will take guests on a chocolate texture journey starting with the deliciously gooey centre followed by the crunchy biscuit base and finishing off with a light and airy chocolate meringue topping. Made with 70% Cocoa, Crem de menthe and chocolate bourbon biscuits, the pudding is baked in a large tray and spooned onto plates when ordered which makes this the perfect pudding for chocolate lovers as asking for two spoonfuls sounds a lot less greedy than two portions! 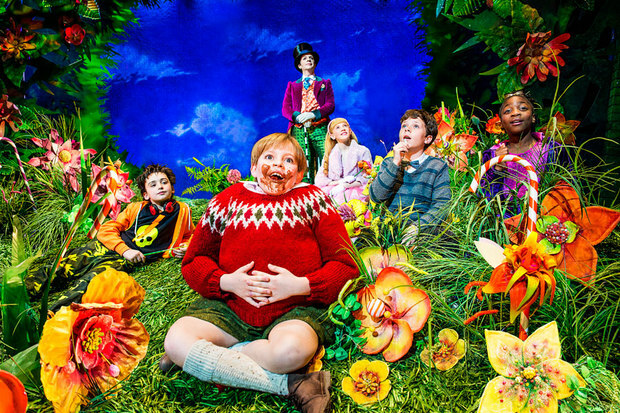 What better way to celebrate the beauty of over indulging on sweet, sweet chocolate than to watch Charlie discovering what we all (sort of) dream of. Performance times are Monday – Saturday 7.30pm. Wednesday & Saturday 2.30pm. The performance runs for 2 hours and 30 minutes so make sure you stock up on plenty of chocolate in the foyer and eat your way through the show. You can still grab some tickets for next week through their online booking, here. It’s held at Theatre Royal on Drury Lane and ticket prices start from around £20 and up – depending on your seats. What do you mean by Chillella I hear you ask? Well, it’s when you chill watching Netflix eating a jar full of Nutella with a spoon. It’s a thing. 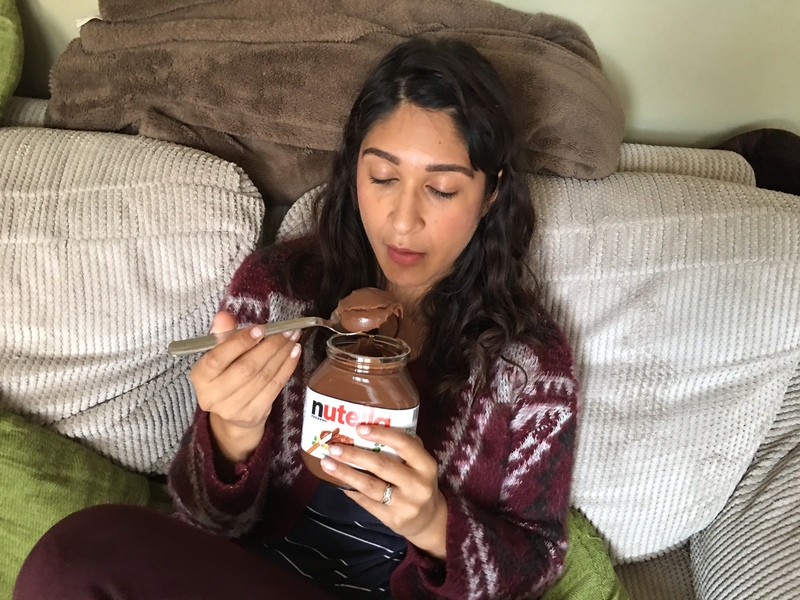 People eat Nutella out of the jar, just no one likes to admit it. Listen, if next week gets super mad at work and you’re coming home shattered at 7/8pm make sure you still celebrate National Chocolate Week will you? Simply settle down on the sofa with some Stranger Things or Narcos – put on your PJs, get out your favourite spoon, slip off the plastic lid and scoop inside. You deserve it. Like your steak meal to be followed by chocolate? You’re in luck! Divine have partnered up with the Steakhouse Company to launch a Toblerone cocktail. Diners can enjoy the limited edition beverage at the London Steakhouse Co. Chelsea and the newly refurbished City branch. The chocoholics dream will be available during National Chocolate Week for £8.00. 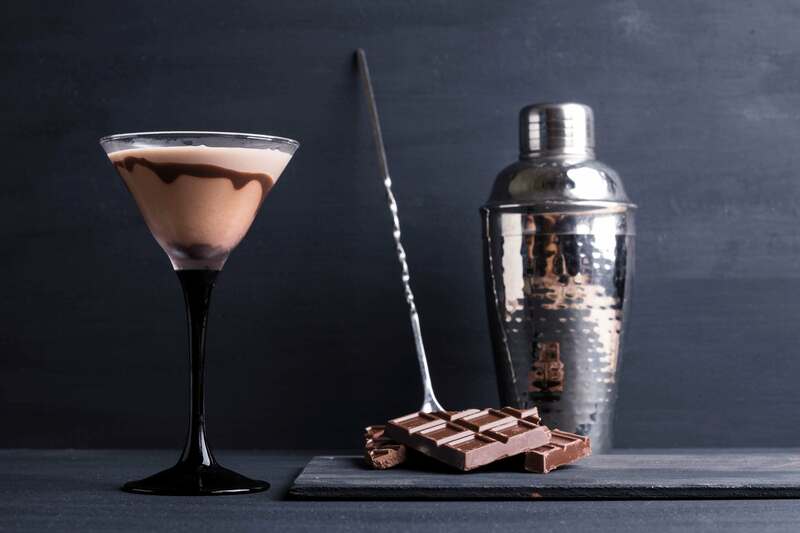 The cocktail is an indulgent concoction of Divine’s Milk Chocolate Toffee & Sea Salt and Milk Chocolate with Whole Almond, served in a chilled Martini glass in Chelsea and as a Shake in the City. Putting a chocolatey twist on the classic scones, Millennium Hotel in Knightsbridge are serving up freshly made white chocolate cranberry scones, served alongside dark chocolate scones and salted caramel clotted cream. Follow this up with a further chocolate feast including earl grey & milk chocolate tartlets, bitter chocolate & pistachio financier, a white chocolate panna cotta with strawberry gel and chocolate macaroons with mocha cream. If you need something savoury to balance it out, there is also a selection of sandwiches! Enjoy at £28 per person with hot chocolate mocha and marshmallows or a selection of teas, or upgrade to £32 per person, to enjoy with a glass of prosecco. Would you like your chocolate followed by chocolate? If after eating all of that chocolate you need a detox, how about a spa day? Here we discover that chocolate not only has the ability to soothe and heal our minds, but we can use its power on our bodies too. 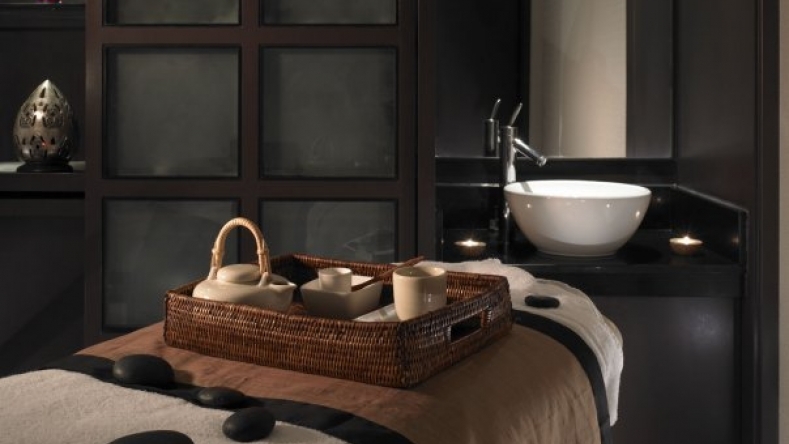 K West Hotel & Spa has created a ‘Good Enough to Eat’ Spa Treatment with Divine Chocolate. The treatment will begin with a back exfoliation using a Mediterranean orange scrub, followed by a soothing sweet almond oil massage. A warm firming and hydrating chocolate mask will then be applied to the back, before moisturising it with a vanilla and cardamom oil. Available only during Chocolate Week, the limited edition K Spa treatment is priced at £90 per person, including access to the hotel’s Wet Spa facilities. Guests will also be treated to the exclusive Chocolate Hopper Cocktail which will feature mint liqueur, white Mozart liqueur, double crème, Divine milk chocolate and dark chocolate Azteca bitters.